Edmudo Cid, film grip, on the job. Film grip Edmundo Cid will soon be moving his career from his native Puerto Rico to New York City. One item in his arsenal he’ll be sure to take with him? His Gig Gloves. 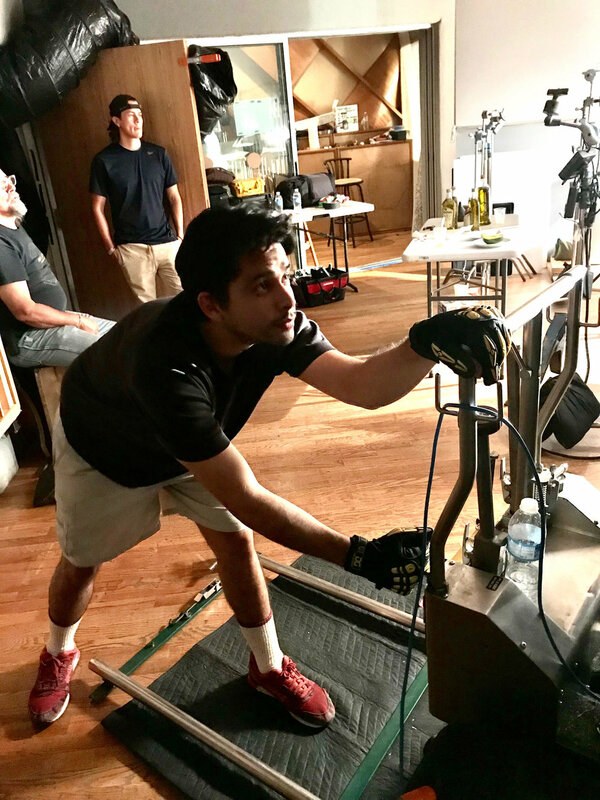 While on the set as a non-union film grip and electric, Cid relies on his Gig Gloves when he’s in front of 5- to 10-ton grip trucks asking for combos, tracks, highwalkers, frames, bandits, stingers and other heavy equipment. Wearing your Gig Gloves on the job like Edmundo? We want to know! Post a photo of yourself wearing your Gig Gloves on social media, tag us and use hashtag #GearingUpWith to be featured in a future post and receive a pair of FREE gloves!